There is no question that banana pudding is one of the South’s most traditional and cherished foods. The love of this simple dessert spread, decades ago, far beyond the area below the Mason-Dixon line. The vanilla pudding’s sweet creaminess layered with the contrasting crisp cookies make banana pudding as delicious as it is simple to make. According to food historians, the first recipes for banana pudding used sponge cake, not vanilla wafers. 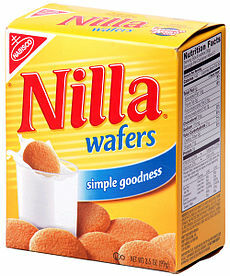 The cake was eventually replaced by lady fingers, and then in the 1920s, Nilla wafers were introduced, and they’ve become the go-to ingredient ever since, due to the crispness of texture that plays so nicely against the creamy pudding, and the obvious ease of use..simply open a box and you’re ready to create. I’ve had banana puddings at restaurants, at church dinners-on-the-ground, at wedding receptions, and even at after-funeral gatherings. I’ve had my mom’s and my mother-in-law’s versions, many times. I’ve not had one yet that I didn’t like. 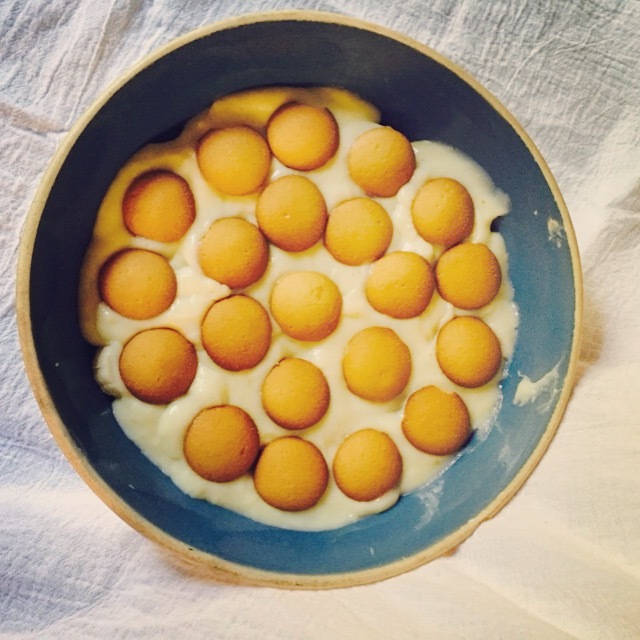 Banana pudding is just all-around wonderful, in all its different incarnations. I have to say, I definitely prefer a homemade pudding to a boxed pudding mix, as the boxed versions don’t hold up to the real thing at all. They’re a bit more slimy in texture, and they have a lesser-quality flavor, in my opinion. Try them side-by-side, and you’ll see what I mean. Spending ten minutes to make the real thing gives you a much better quality result, trust me. And it’s not hard to do! Just try it. There’s no question, however you proceed with the pudding, that store-bought vanilla wafers are the top choice of Southern cooks. I haven’t found a really good homemade version that made me want to replace store-bought wafers, and why do I even need to? Those little elves do a fine job of making them. Vanilla pudding: use this recipe from Real Simple, but double it to make four cups of pudding. It makes the perfect fluffy, not-too-sweet vanilla pudding with just a few common ingredients. I will never make another recipe but this one for vanilla pudding. It’s that good. 1. Follow the directions at Real Simple (above) to make your creamy, light, fluffy vanilla pudding. Then, in a large trifle bowl or other large bowl, make a thin layer of pudding across the bottom of the bowl to help hold your first cookie layer firmly in place. 2. Lay down a layer of the cookies, completely covering the bottom of the bowl. 3. Next, make a layer of banana slices on top of the cookies. 4. Spoon in a layer of pudding over the bananas, using about half of the pudding. 5. Layer again with cookies, bananas, and pudding. 6. Top the pudding with a final layer of cookies. Allow to set up for an hour or so before serving, if you can possibly restrain yourself or your family. You can top your pudding with whipped cream if you like, though some may think that’s just gilding the lily. Here’s my recipe for whipped cream, though, if you’re into that. Or the more traditional meringue, if you’d like to make it, is also great, and you can find a tutorial here. Here’s another dessert variation you might like to try. Make banana pudding shooters for a cute, tiny dessert, and instead of using whole cookies, (which would be awkward to eat out of a small shot glass or other small vessel) crumble the vanilla wafer and mix it into the pudding. You can do the same with the bananas, chopping up slices. It’s a fun textural surprise, and you still get the same wonderful flavor. Let me know how your banana pudding dessert turns out, whichever way you make it; I’d love to see pictures of your creation, too! 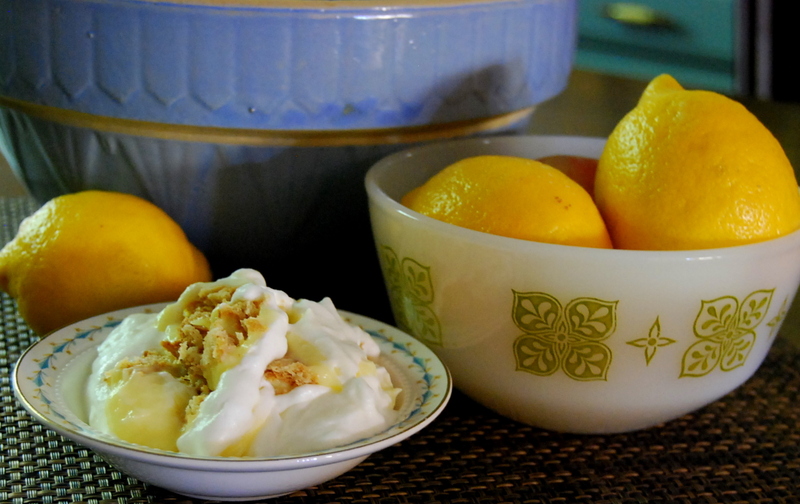 You might also like my simple lemon icebox dessert. So yummy and reminiscent of grandma!